At DigiDNA, we have the utmost respect for our users' data. We are a Swiss company active since 2008, and protecting our users' privacy is naturally part of our core values. Important: beware of non-genuine distributions! iMazing is a very popular application which is widely cracked and/or distributed by non-official download sites. We strongly encourage all our users to download iMazing from https://imazing.com/download, and to be vigilant of any signs of tampering. macOS: please pay attention to warnings when first launching iMazing. Our official version is code-signed with an Apple issued certificate, Developer ID: DigiDNA SARL. Windows: please pay attention to warnings when first launching iMazing's installer. Our official version is code-signed with a Thawte certificate, Developer ID: DigiDNA SARL. A different code-signing identity or certificate authority, or the absence of code-signing, indicate that you have downloaded a non-genuine version of iMazing which could be infected with malware. Please report any such finding immediately, mentioning the source of the application. When you access your mobile device's data with iMazing, it remains under your control, on your computer or on the storage device of your choice. None of your files are uploaded to any server or accessed in any way by DigiDNA. When using iMazing's app management features, you may be asked to login to your Apple ID. This is required for iMazing to download apps which you have already acquired on the App Store. • Your password never leaves your computer, and DigiDNA never has access to it. • 2 factor authentication is fully supported. We encourage you to enable it if you have not already. 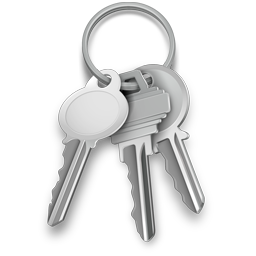 • If you tick the Remember Password checkbox, your password will be securely stored in the macOS Keychain or in Windows Credentials. Most data stored on iOS devices can only be accessed via an iOS backup (similar to iTunes Backup). When iMazing first backs up your device, it will encourage you to enable Apple's backup encryption feature (AES 256), which ensures that your personal data is extra safe. • When you browse backed up data in iMazing, decrypted files will be stored in a cache on your computer. This cache will be cleared automatically when you remove a device from iMazing, or manually via iMazing's Preferences window. iMazing can be used completely offline, with minimal impact on its capabilities. When it does initiate connections to remote servers, it is always done securely in HTTPS (SSL/TLS 1.2). In addition, USB and Wi-Fi connections between your computer and your iOS devices go through a dedicated Apple communications protocol which also uses end-to-end encryption (SSL/TLS 1.2).